3. Let’s see if I actually finish and post this. 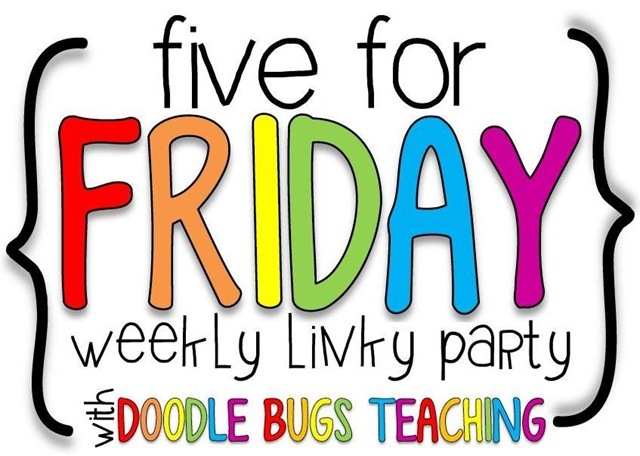 So I am linking up for the weekly Five for Friday, but beware, some items below may not be from last week. I am still trying to catch up on my life. 1. Reality check time- I need to remind myself that I have only been in school for 14 days. My body tells me that because I am exhausted. We normally begin school mid-August, so by the end of September (now), I feel like we should be able to begin a somewhat normal first grade life. But that is not the case. We began school September 2nd due to construction, so it is okay to still be working on procedures. It’s only been 14 days for goodness sake. I love my class, but they wear me out! 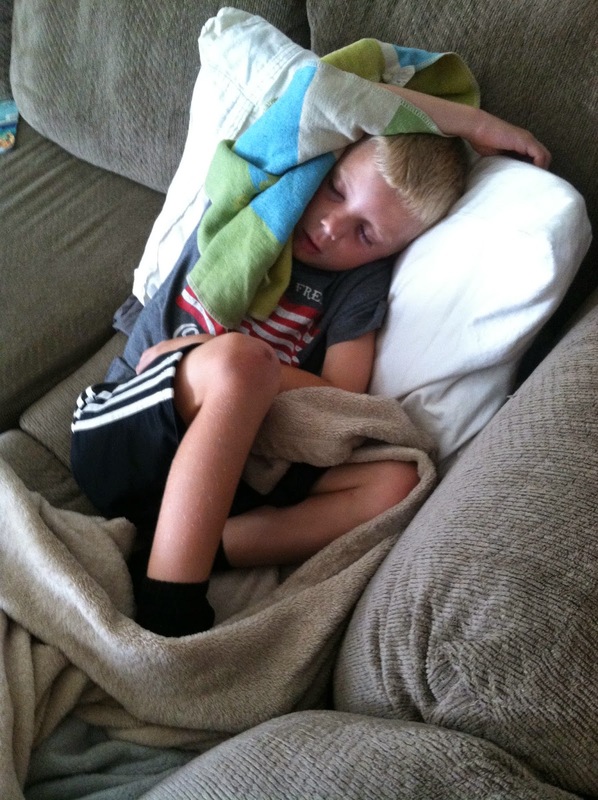 My little man, who happens to be in the first grade class next door feels the same most days. 2. We began work on writing this week. My kids were introduced to their writing folder. See how I set them up here. We began by drawing a detailed pictures, adding details to our pictures and then I introduced them to labeling. I labeled myself and they thought that was the best thing since mac and cheese. I had one of my firsties attempt to take a picture of me, just a tad blurry. I have taught photography skills yet this year. 3. I was a tad bit productive this week, I organized and finished unpacking my classroom library. I also finished my November Print and Do. I just need to finish December and then the set will be complete. Click below to grab your copy. 4. First grade story time. So we have been talking buckets, life skills, how to solve problems, tattle tongue, etc. You know, the typical beginning of the year stuff. Well, I was beginning to read the book, “What if Everybody Did That” (great book by the way) and I noticed one of the girls in the front row had something in her mouth. I reminded her that lunch was over and we need to be done eating. She opened her mouth to answer “okay” and I notice that her mouth is full of red and blue sparkly things. I then notice her shirt has blue and red sequence on the front (minus what is in her mouth). At this point I am thinking, gross but problem solved. She spit out her after lunch snack and we were going to begin our story. Two pages in, I see sparkles in her mouth again! Oh my, so I ask again for her to spit out her snack and please wash her hands. She does. I continue to read. Not even half-way through the book, the sparkles are back in her mouth. No joking! So again, I tell her to spit them out, we don’t eat our clothing. She proceeds to the sink, but first stops by her desk. I watch her take the sequence out of her mouth and stuff them into her desk. I don’t know, may an after school snack? Yuck! At this point, I think she gets the point. Eating sequence off our shirt is not okay. I once again continue to read. I finish the story, no more sparkles in her mouth. Hallelujah! As we are discussing the story and talking about “what if everybody did that scenarios” one of my sweet girls raises her hands and informs us that if everybody ate sparkles, we wouldn’t have anymore cute shirts. 5. This may be a Four for Friday. It’s almost 9 and I don’t think I am going to last much longer. I am determined to post this, so I think I will stop while I am ahead. Happy weekend friends! Love the labeling yourself idea! Too cute!!!! I love the labeling idea too!